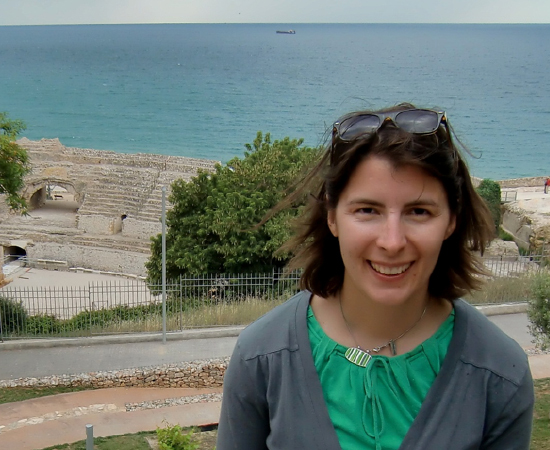 Erin Moodie received her Ph.D. in Classical Studies from the University of Pennsylvania. Before coming to Purdue, she held visiting appointments at Williams College, DePauw University, Colgate University, and The Ohio State University. Dr. Moodie studies the intersection of comedy and politics in Athens and Rome, as well as self-reflective, meta-literary moments in Classical Greek and Roman poetry. She has published articles on Roman satire as well as on Greek and Roman comedy. Her current book project portrays the meta-theatrical moments engineered by low-status characters in Greek and Roman comedy as indirectly subversive, since they reveal the artificiality of the stage world that mirrors the real world of the audience. The book then investigates the implications of such subversive comedy in its differing socio-historical contexts. In addition, Dr. Moodie is revising a student commentary on Plautus' Poenulus, a Roman comedy, in preparation for publication next year.